While the dust is settling in the aftermath of shootings at two mosques in New Zealand, some rather bigger and more consequential truths and dimensions start emerging. Undoubtedly, the killed brothers and sisters are global heroes. They are also martyrs and Jannah(Paradise)-bound (insha’Allah we most sincerely hope and pray for them). Whereas the murderer will spend the rest of his miserable life in jail languishing therein (given that New Zealand since 1961 does not have the death penalty for murder), will die smaller and less significant than when he was born, and, ultimately, is Jahannam(Hell)-bound. Truly, the victims have been given a new and far better life, and so, have been in a certain way set free, while the killer and his agenda have perished as soon as they came to the fore of reality and started rearing their ugly heads. What matters at the end of the day is to live and die with honour and dignity, irrespective of circumstances. What lies between and around those parameters is part of a bigger and to us incomprehensible ontological picture. In the meantime, virtually the whole world – regardless of the level of many individuals’ and groups’ honesty, or otherwise – is propagating what the true Islam is and who the true Muslims are. In reality, everyone is promoting and preaching Islam, one way or another: from mosques and parliaments, to coffee-shops, homes and media. Debates about Islam, Muslims, the Qur’an, the Prophet (pbuh) and mosques continue – and will for a long time – unabated. The situation is rivalled perhaps only by what transpired after 9/11. The phenomenon is positively contributing to silencing the isolated pockets of perpetual hate, bigotry and bona fide terror, and is extinguishing the fading flames of their meaning, purpose and appeal. Despite the tragic and regrettable side of the events, the opportunity that such events presented should be leveraged and sustained. It is not always that most of the world is favourably disposed to the affairs of Islam and Muslims. Overtures are being received from all sides including such as were hardly imaginable before. By making the most of the presented opportunities, the innocent lives would not be seen as lost in vain. The losses will thus become yet more meaningful as well as impactful. The victims’ rewards will also be greatly amplified thereby. Hence, Muslims should become braver and more proactive in convincing the world as to who exactly they are, what their Islam is, and what they are living for and how. They should go on the offensive, rather than being perennially on the defensive. There should be no more place for excessive apologetic tendencies. Such a strategy did not bring much sense, nor benefit, to anybody: neither to Muslims in advancing their Islamic civilisational cause, nor to non-Muslims in coming to terms with the same. Muslims should not unduly worry or be afraid, for a truthful person on an extraordinary mission fears nobody and nothing. Indeed, nothing but truth, light and clarity of existential mission and purpose are identifiable with courage and gallantry, just as falsehood, darkness and evil are identifiable with cowardice and its associates. Hence, the New Zealand murderer thought he was brave and would become a hero if he killed innocent and unarmed civilians (worshippers). However, that is exactly what his victims are, and he, on the other hand, has already become a symbol of gutlessness, idiocy and villainy. He is furthermore met with universal condemnation, disgust and cursing for his cruel, inhuman and barbarous acts that targeted defenceless and harmless civilians. Moreover, Muslims have nothing to be ashamed of, nor hide. On the contrary, they have everything to cherish, be proud of and share with the world. Muslims always were, and thus should remain, chief protagonists in generating universal civilisational and cultural goodness and beauty. Muslims should use the unfortunate New Zealand episode and its aftermath to come closer to one another and get united at all levels of their ummatic (collective) existence. There is no political, social or sectarian issue that can supersede in importance the above. Everything must be in the service of the former. Why must Muslims wait for tragic events, such as this one, to come out together as one? Why don’t they do so as soon as possible as a sign of a drastic paradigm shift, whereby many future yet more tragic events could be thwarted, or at least significantly mitigated? Once united, Muslims’ performances in such critical fields as education, politics, economic development, science and technology, as a consequence, would dramatically improve as well. They will not then have to harangue the world on how Islam is the religion of truth, peace, progress, enlightenment and justice. Such will be embodied in concrete deeds, policies and civilisational initiatives and achievements, and will be there for all to see and benefit from. It goes without saying that Muslim unity and the unity of their ontological mission and purpose denote a precursor, yet a cause, of any remarkable civilisational consciousness and growth of theirs. The relationship between the two realms is causal, the former always being the cause and the latter the effect. Even though the whole world is sympathetic now, if Muslims do not take the matter into their own hands – and by the scruff of the neck – the sentiment will quickly cool down and subside, and we will be back to square one. Nobody will help Muslims if they do not help themselves. The roles of others can only be secondary in nature, playing second fiddle to what Muslims actually do. Likewise, nobody will respect Muslims unless they respect themselves. That is the root cause of all good – and evil – associated with Muslims. Muslim civilisational destiny ought to be their own and nobody else’s business and concern. It is therefore only them who is answerable to the Almighty for it. 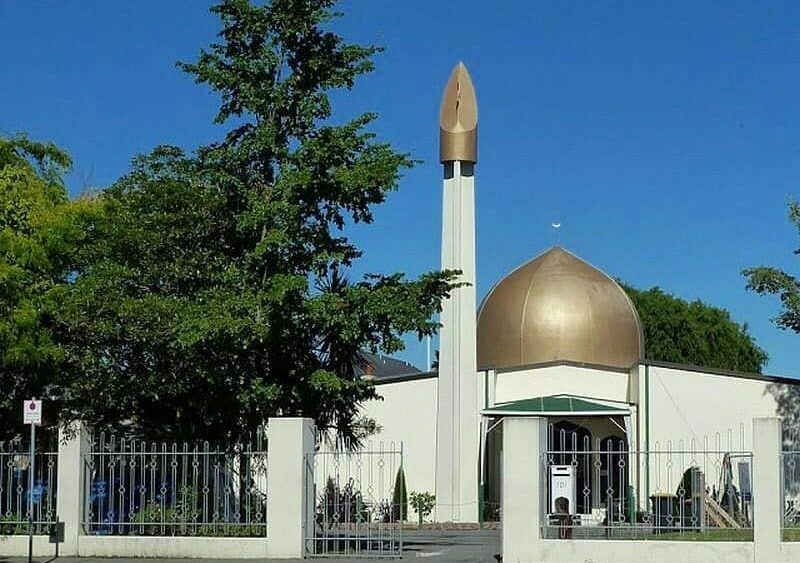 And as a bit of not-so-coincidental symbolism, since the New Zealand tragedy took place in mosques, it might be just appropriate that a Muslim change of fortune should start exactly in relation to the mosque as a concept and sensory reality. Reviving the mosque institution as a community development centre and as a symbol as well as locus of Islam’s and Muslims’ spiritual and physical being will definitely go a long way in successfully charting future development courses not only in the Muslim world, but also elsewhere. Mosques should be turned into sources of and facilities for practicing and disseminating the authentic truth, peace, harmony, equality and justice. They should be beacons of hope, optimism, cooperation, tolerance and dialogue. Especially in the West, mosques and the infinite universe of messages and values that they typify, should be promoted via most appropriate means and channels as much to non-Muslims as Muslims. That way, there will be no better, friendlier and more effective ways of da’wah (inviting people to Islam). Nobody will be able to accuse anyone of proselytising, or any other perceived wrongdoing. Rather, the efforts will regularly be praised and encouraged by all relevant parties. For the sake of fostering peace, harmony and dialogue, to Muslims through the mosque phenomenon the sky is surely the limit. That could likewise be a reason why the New Zealand criminal targeted precisely mosques and the day, occasion as well as the time synonymous with mosques’ dynamism and multidimensionality. And finally, Muslims must actualise and live up to the implications of the Qur’anic archetype according to which only believers and everything they epitomise will in the end be successful, despite numerous trials and challenges along the way. On the other hand, the opponents of truth, oppressors of all kinds and criminals, and everything they characterise, will in the end fail and be dire losers, notwithstanding some ostensible temporary triumphs along the way. What matters most is a true happy ending primarily in the metaphysical sense of the word, and that life does not turn out to be merely nihilistic, hedonistic and anticlimactic an affair.